Football Manager will make its debut on Nintendo Switch today, publisher Sega has confirmed. Called Football Manager Touch 2018, this version is reminiscent of the tablet edition of the game in terms of features, though the 3D Match Engine from the mainline series is included too (a first for home consoles). Thanks to the game’s user interface and customized controls which have been developed especially for the Switch, players have the choice of using either the Switch’s touchscreen or the Joy-Cons to control the game. Even more recently, Engadget reported that the game would be coming to the Switch after a source close to Sega said the game would be “coming soon”. Though Football Manager is a great fit for the hybrid Switch, fans may be disappointed that they’re not finally getting a portable version of the mainline game and simply have another platform on which to play the Touch edition. As it is, the in-depth systems of a mainline Football Manager game perhaps aren’t best suited to playing on a commute and the 3D Match Engine should make playing on your home TV more satisfying. 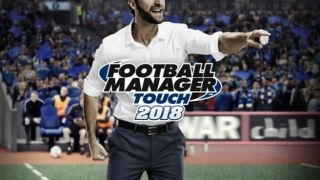 Football Manager Touch 2018 can be purchased on the Nintendo eShop as of today.